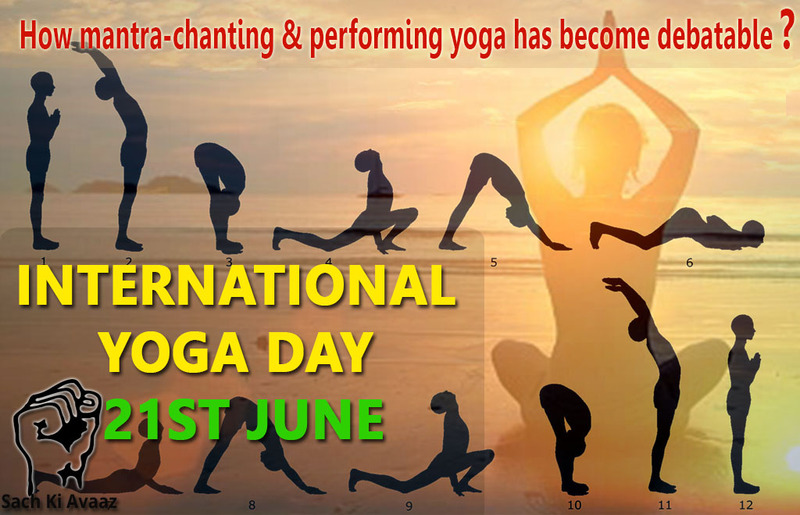 Recognizing its universal appeal, on 11 December 2014, the United Nations proclaimed 21 June as the International Day of Yoga. The theme for the 2017 celebration, organized by the Permanent Mission of India to the United Nations, is ‘Yoga for Health.’ The theme highlights the fact that yoga can contribute in a holistic way to achieving an equilibrium between mind and body. The organizers believe that this approach to health and wellbeing can make a direct and useful contribution to humankind’s quest to achieve sustainable development and move towards lifestyles that are in harmony with nature. Health is not a mere absence of disease. It is a dynamic expression of life – in terms of how joyful, loving and enthusiastic you are One who is stable and established in the self is healthy. That is to say that identifying a healthy person doesn’t only entail physical fitness, but what’s even more crucial is ones mental fitness. One cannot say that ‘I’m healthy, but not interested in life’. The enthusiasm in life shows how healthy you are. Causes of sickness or ill health are generally noted as impurities on the level of mind, body and speech. Your own speech can create distress in you as well as other people around you. Even distress or discomfort should be treated as an illness. Body, mind and spirit are like a tripod – even if one aspect isn’t functioning properly, our life will not be balanced and that will lead to ill health. Yoga (a component of ayurveda) is that link which creates a harmony by aligning all the three components (body, mind and spirit) into one. This harmony, in turn exists to support life. Yoga is an integral part of our lifestyle. It removes the impurities from the level of mind and unites everything with the spirit. For instance, insomnia could be connected to stress, anxiety or depression. You have to address that issue instead of merely taking medication. This way, you have a wider perception of your own mind, body, thoughts and emotions and there’s more clarity and you are able to guide your prana (life force) in a positive way to progress in life. One can start practicing Yoga at any given moment of time and you may start with meditation or directly with pranayama without even doing the asanas (postures). Make sure that when you practice yoga asanas, you don’t just stretch the body because the mind has to be with the body. You can’t be watching television or reading the newspaper because if your awareness isn’t there, the asanas won’t have much effect on you. But if each stretch is synchronized with the breath and awareness, your practice will become a yogic practice. Yogis in The Himalayas can survive without food because they don’t need to eat as their body survives on prana. But we need to eat and maintain a healthy diet. Did you know that your next day starts from your dinner? What you eat, what time you eat and how much you eat affects your sleep, the morning and your entire day. Needless to say, ahaar (food) makes a profound impact on your body and mind. Imbalance of vata, pitta and kapha (three prime energies in the body) lead to most health-related issues. For instance, if someone’s pitta (fire element) is high, certain foods can aggravate the pitta and cause restlessness, lack of sleep and anxiety, which makes it a necessity to know what foods are suitable for the body and mind by consulting an ayurvedic doctor. There is a tendency in our body towards health. At one level, our body intelligence signals that what we are doing is not alright, but we all have our excuses because we are following our mind and emotion. That intelligence fails when you become a slave to your mind and creates problems on a physical level. And soon, it becomes a pattern. A headache is not a disease, but a signal for something bigger, and when we suppress that sign with painkillers, the real cause soon surfaces on a much bigger scale.